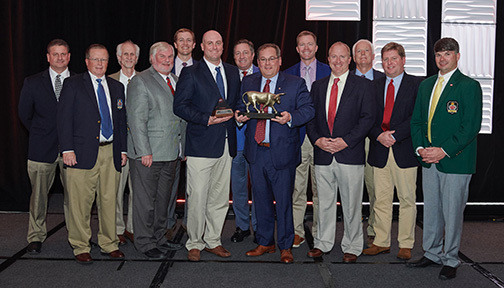 The Toro Company named Jerry Pate Turf and Irrigation as its 2019 Best in Irrigation award recipient during its recent worldwide business meeting in San Diego, Calif. Each year, Toro recognizes its top-performing distributor in golf irrigation as part of its Partners in Excellence program. This year’s awards also coincided with Toro’s 100th anniversary in the golf industry. Customer care and satisfaction are among the criteria on which Toro’s Partners in Excellence awards are based. Jerry Pate Turf and Irrigation achieved a notable score for customer satisfaction in this year’s assessment based on ratings the company receives from its customers.